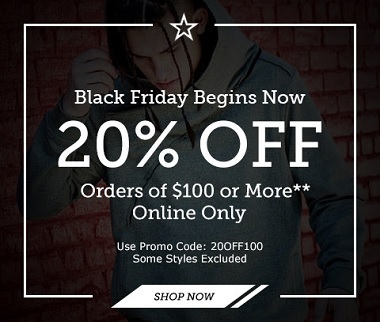 Visit U.S. Footaction online and receive 20% discount on your pruchase of $100 or more! To receive the offer, enter promotion code 20OFF100 at checkout. Order value must total $100 or more before services, taxes, and shipping & handling. Source of the information is U.S. Footaction. The offer is valid until November 26, 2016. For more details visit U.S. Footaction online.